Think that the bouncing foxes are TOTALLY unbelievable?! Think again - we've got the proof! 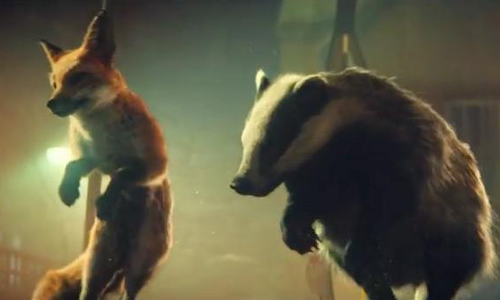 If you haven't seen John Lewis' Christmas advert yet, where have you been?! 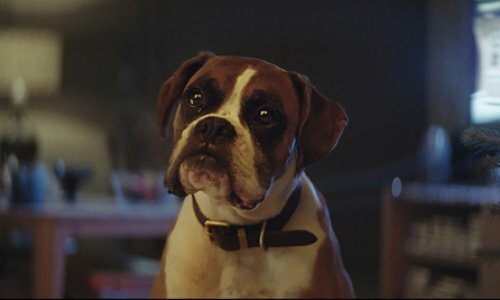 The retail giant's latest offering is much funnier than the last few of years and introduces audiences to adorable Buster The Boxer Dog. When one lucky lady is bought a trampoline for her Christmas present, the poor pooch is devastated that he isn't able to enjoy it straight away and start bouncing! The doe-eyed doggy stares out of the window morosely as two adorable foxes, a badger, a hedgehog and a squirrel have the time of their life bouncing up and down in the garden. Just look how much fun they're having!!! But whilst the festive advert feels like a happy episode from The Animals of Farthing Wood, the REAL inspiration for the video comes from this raw footage of two foxes playing on a trampoline in a garden. Check out the original clip of the two cheeky critters here! We can definitely see the similarities! Read more: WATCH: The Magical Brand New John Lewis Christmas Advert 2016 Is HERE! Whilst we're at it, here are some more animals having a blast on trampolines... the bison is such a fail! At least they look like their having a bit more luck than this little fella! Bless!